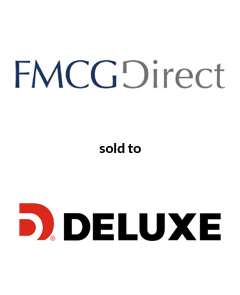 AGC Partners is pleased to announce that its client, FMCG Direct, a leader in data-driven, omni-channel marketing services for financial institutions, has been acquired by Deluxe Corporation (NYSE: DLX). The acquisition will further FMCG Direct’s ability to win market share and cross sell its solutions to a broad customer base within Deluxe. With a team led by Jon Guido, AGC Partners acted as sole financial advisor to FMCG Direct.